I met up with Chef Charles for our private dinner tasting at his client Sarah Anne Stewart's West Village penthouse. With modern furniture, a built in aquarium and floor to ceiling windows, as well as a private rooftop, it is a warm inviting space conducive to hosting the healthy-focused dinner parties that his client Sarah, founder of Holistically Slim Movement, hosts with the help of the culinary creations by Chef Charles. We sat down at the kitchen table, and Charles began telling me about his childhood. 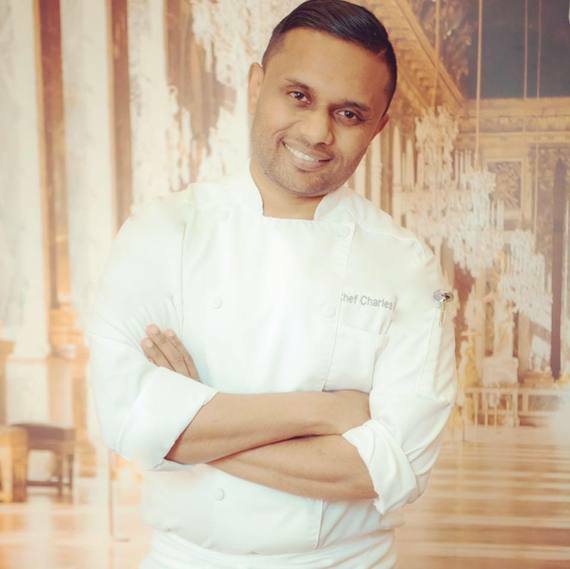 Of Sri Lankan descent, Chef Charles lived all over Europe and Asia as a child due to his parents jobs. He was always comfortable in the kitchen and, by six years old, was cooking meals for his family while his cousins played outside. As he got older, his parents encouraged him to take a more "practical" career route and, as a result, he got his MBA in Marketing from Pace University. After working at several large marketing firms, he experienced burn-out and, although it was a risk, decided to give up his promising career in marketing to travel the world, sampling cuisine and pursuing his passion. He says "it was a big risk. But when I took that year off, I thought worst-case scenario I can always come back to the corporate world. I thought I would at least give myself a chance to pursue my passion." The risk paid off. After traveling around Europe and learning about different foods and cultures, this self-taught chef started cooking for private clients at trendy "supper club" events at their homes. He ultimately ended up back in New York, interning for Anita Lo (of Annisa Restaurant fame) who became a mentor to him. He says that he learned from her how to optimize flavors and presentation and that "you shouldn't cut corners when it comes to food and cooking. I think that's the one thing I respect about French chefs - that they really take time to build the foundation of food through sauces and marinades, with slow sauces that cook for hours." He subsequently took on the role of executive chef at Village Prime and Vis-a-Vis. Although his time in the kitchen was a great learning experience, he craved the personal experience with the guests and loved seeing their reaction to his cooking. That helped inspire the launch of his personalized catering company, One World One Kitchen which is based on the idea that all the world's food is really unified and we are more similar than different as people in terms of what we love to eat. "I believe that food brings people together, of all walks of life, and across all cultures and communities. 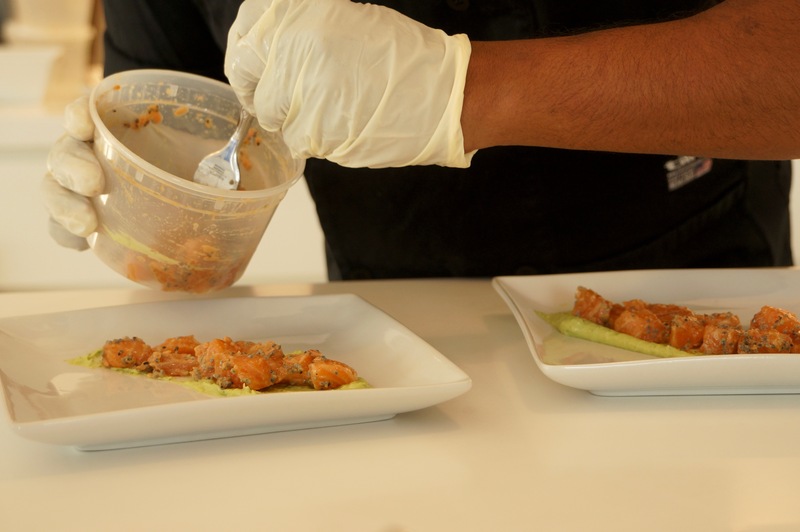 At One World One Kitchen, we like to bring that level of diversity into our kitchens and try to produce a seamless experience bringing flavors and ingredients from all across the world to create an unforgettable experience for everyone." 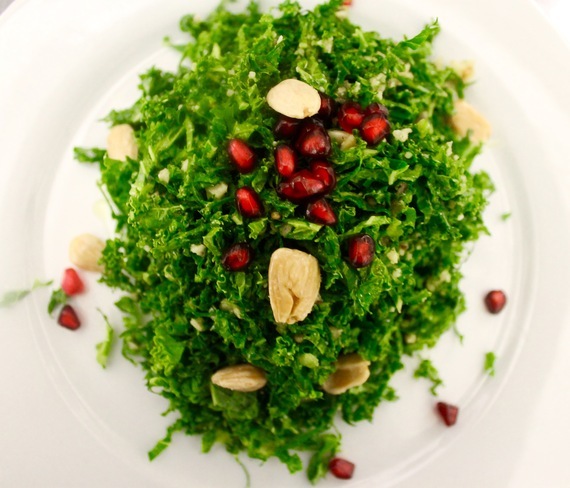 In addition to the global focus, health concerns of family members have him taking an interest this year not only in complicated delicious flavors and spices but also in the health benefits of certain foods. For my private tasting at the penthouse, the meal was cooked entirely gluten and dairy free. His focus on health has made him feel like he has a purpose and he tells me that "what I've been promoting is that food is not just tasty and delicious and beautifully presented but also nourishing people and making them feel better and keeping them away from diseases." As we continued our conversation, Chef Charles cooked and plated for sampling a beautiful kale salad with shaved almonds, coconut and pomegranate with lemon vinaigrette, a tasty salmon tartar over a creamy avocado wasabi purée, a seared salmon entree with thai curry sauce accompanied by quinoa, rounded out by a tender rosemary and thyme infused ribeye with chimichurri sauce. A flourless chocolate cake with berries and caramel ice cream was the final touch and, given the tastiness of the cake, I had to question again whether it was really made without dairy?! We had a good laugh and he remarked that this is his favorite moment - showing his guests how healthy food can also taste so good. 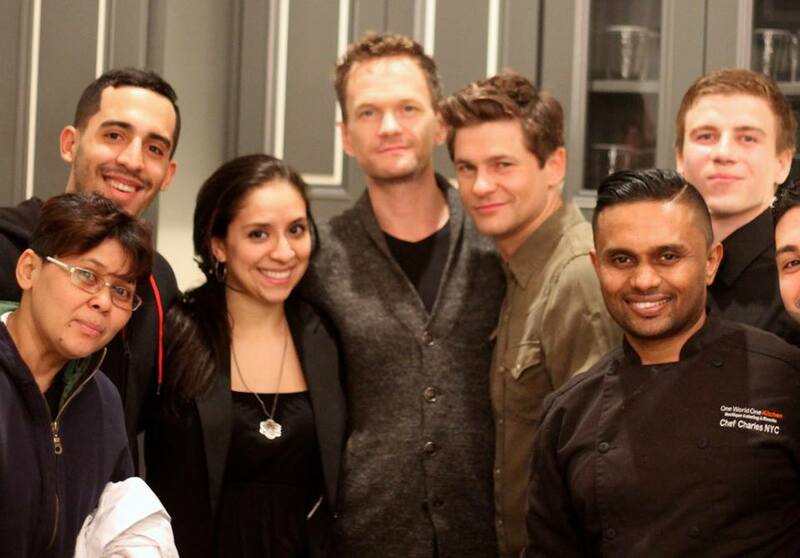 His company currently caters high-end private events for clients like Neil Patrick Harris and David Burtka, and private, invitation-only supper club events like the ones hosted by his client Sarah. The variety of client tastes and desires keep his cooking fresh, and Charles tells me that he's constantly coming up with new recipes for his clients. The meal has come to an end. I finish the last morsel of cake on my plate and say goodbye to Charles, leaving the meal feeling light, satisfied and inspired. And that's just the way Chef Charles would want it.